Sarasota is a great year-round scene of entertainment and excitement, with lots of local festivals for friends and families to enjoy! Nearly every month of the year there is a reason to get out and celebrate in Sarasota County. Starting off the beginning of the year in January with the annual Forks and Corks Food and Wine Festival. The epicurean event is hosted by the Sarasota-Manatee Originals (Sarasota's independent restaurateurs) and is great for exploring new food and wine. 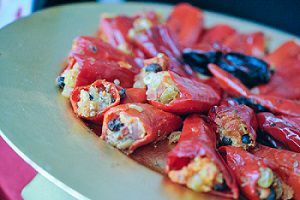 Also offered are seminars and food demonstrations so you can learn how to cook these delicious meals. Springtime in Sarasota brings us the Shark Tooth’s festival which is a three day celebration of food, fossils, arts and crafts, music and fun! Neighboring Venice is known for it’s shark teeth, as its one of only a few cities on Florida's west coast without a barrier island and millions of pre-historic shark’s teeth wash up on its shores! Another big event during spring is the greatly anticipated Sarasota Film Festival, usually celebrated in early April. The first SFF took place in 1999 with just eight films and six actors. Fifteen years later, the SFF has grown to an annual 10 day event. Now, more than 200 hundred films are shown, and there are multiple special events, symposiums, and panels featuring top film industry film industry professionals. Also on the film front, there is the Sarasota Film Society’s Cine-World Film Festival, where every year the Burns Court Cinema dedicates its three screens to the festival and the approximately 50 international films it brings to downtown Sarasota. In the fall a whole other kind of art takes over Sarasota, with the famous Sarasota Chalk Festival. This event brings over 250 renowned artists and 200,000 visitors to the city. Other annual festivals that celebrate the arts in Sarasota include the Atomic Holiday Bazaar in December, the Sarasota Folk Music Festival in March, the Harvey Milk Festival in May, the Downtown Sarasota Festival of the Arts in June, the Florida State Theatre Improv Fest, the Super Grand Prix Boat Festival in July and Sarasota Fashion Week each fall. Have we convinced you yet? 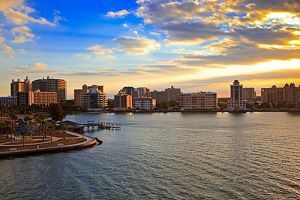 If you are looking into relocating to Florida, Sarasota is the place to be. We have great beaches, a vibrant cultural life and the Sarasota real estate market has something for every budget and every taste.